"The Jaq" is 55' of Carrera Digital track. Owners Monte and Victoria Saager enojoy racing action with at least 4 cars at the same time in both 1:32 and 1:24 scales. It can get a little frantic at times with multiple opportunities to pass/change lanes and don't forget to stop and refuel. 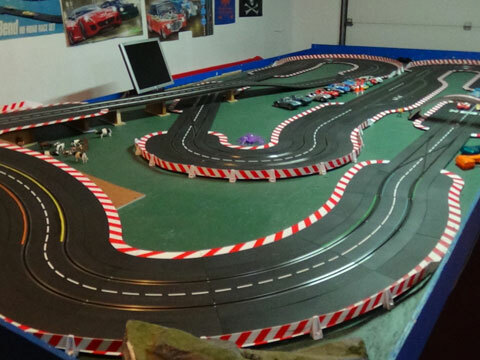 It's not exactly your father's slot cars. But it's all in the spirit of good fun.